Eli has been working as a garden educator for the last three years in Boston, Cambridge, and Somerville. He served at Groundwork Somerville as a youth education coordinator through MASSLift Americorps. At Groundwork Somerville he helped create a curriculum about supporting pollinators and planted a pollinator garden at the West Somerville Neighborhood school. He has two summers of experience working with middle school aged youth at Farm and Wilderness summer camp in Vermont, where he led backpacking trips, and led youth work days in the garden. Eli loves to see students have new experiences in the garden, and thinks that every child should have the chance to put a handful of mint leaves in their mouth. He believes that school gardens can help every student develop an affection for the natural world. He comes to CitySprouts with a bachelor’s degree in Sustainable Food and Farming from UMASS Amherst. When he is not working you might find him tending his community garden plot in Dorchester or trying to find a decent crab-apple at the Arnold Arboretum. Director of Programs, Robyn Burns, oversees CitySprouts’ Garden Educator staff and program management team to guide the organization’s STEM-centered garden-based learning partnerships with both Cambridge and Boston Public Schools. Robyn has served in the role of Director of Programs since spring 2015. Prior to CitySprouts, Robyn focused her work in the realm of experiential education, urban food systems, community engagement, and youth empowerment with The Food Project and Grow Pittsburgh. Robyn is a graduate of The Institute for Nonprofit Management & Leadership from Boston University, holds a Master of Science in Sustainable Systems from Slippery Rock University and a Bachelor of Arts in Rhetoric & Film Studies from the University of Pittsburgh. 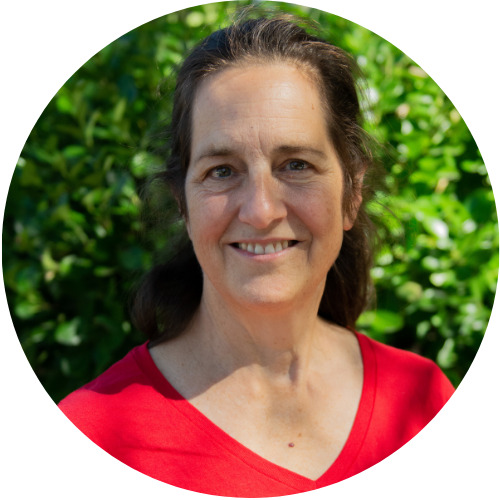 Robyn presents at conferences regionally and nationally and is also a Senior Fellow with the Environmental Leadership Program. In her leisure, Robyn likes to catch a matinee at the local cinema or find time to brew her own kombucha. Johanna – a compost enthusiastic – has been wiggling in environmental and agricultural education since 2012. She has worked with children ages 5 to 18 in public schools in El Salvador as a part of ACUA’s CORCULL initiative, she co-wrote the environmental education sections of Parque Bicentenario’s management plan and participated in leading Let’s Do It environmental awareness campaigns in El Salvador – all before putting a foot in outdoor education in the US. Since, Johanna led First Generation Farmers’ after-school program, a program that allows 4 to 14 year-old children to put their hands to motion and learn how soil, compost, and farm animals all help us grow healthy organic vegetables. Now, as a CitySprouts Garden Educator, Johanna is thrilled to be cultivating the skills and compassion of little urban farmers. Children’s unpredictable imagination is what she loves the most about her work. Johanna has a bachelor’s degree in coordination of environmental education projects; her academic background* also includes nature protection and agriculture. ¡Hablo español! Mwen pale kreyòl! Je parle français! Ian started off a gardening career studying international agriculture at Cornell University. Out of school he joined the Peace Corps where he spent two years working on agriculture projects in Senegal including community gardens, chicken coop building, and youth empowerment. He built off his experience to work with farm and garden education in New England, spending a year as a garden educator at Heifer Farm in Central Massachusetts and managing an environmental teen internship program for Solar Youth in New Haven, Connecticut. Ian is excited to come to the big city to help youth find the wonder in exploring urban garden spaces. If the weather’s nice, Ian plans to spend time hiking, fishing, and posting up on porches. Dëgg naa Wolof! Je parle français! As the founding director of CitySprouts, Jane has been an integral part of growing the CitySprouts program from one school in Cambridge to a nationally-recognized program serving more than 20 public schools in Cambridge and Boston. Jane first began thinking about school gardens more than 20 years ago when her children started kindergarten in the Cambridge Public Schools. She remains passionate about making sure that all children have opportunities for hands-on science education in the garden and the chance to get to know their natural surroundings in their own neighborhood. Jane presents at conferences regionally and nationally and was recognized as a Social Innovator by Root Cause Social Innovation Forum in 2008. She holds a Masters in Communication Studies from the University of Maine at Orono. Her book, Ripe for Change: Garden-Based Learning in Schools, was published by Harvard Education Press in 2015. Therecia comes to CitySprouts with a long history of working in education and non-profit organizations. Prior to her experience at Northeastern University where she led evaluation efforts, logistics and meeting planning, she developed curricula and coordinated classes with staff and volunteers as the Operation Frontline Coordinator at Share Our Strength, a national organization working to end childhood hunger. She was also a Case Supervisor at Road to Responsibility, an organization providing opportunities, means and support to citizens with disabilities. Therecia is an active grower and member of the Food Project’s Dudley Greenhouse and the Greenhouse Advisory Committee and an active member of the City of Cambridge Women’s Commission. Before joining CitySprouts, Karl worked as a garden educator in the Jesuit Volunteer Corps at a small elementary school in Tucson, AZ, building a curriculum on ecosystems and food webs. He began developing his gardening skills at the Civic Garden Center of Greater Cincinnati, where he assisted in maintaining over 50 community gardens. While there, he also worked to coordinate youth volunteers from the local youth club to revitalize the West End Community Garden. Karl has earned a Bachelor’s degree in the Philosophy, Politics, & the Public program at Xavier University, in addition to a Master’s degree in Food Systems and Policy from Boston University. With CitySprouts, Karl enjoys fostering children’s curiosity in the garden and sharing new food experiences. His favorite activities with youth include making Three Sisters stew and unearthing potatoes like buried treasure. As Director of Resource Development, Michael is responsible for identifying potential public and private funding sources to support CitySprouts’ programs and operations. Michael has a long history working with a variety of nonprofit agencies as well as both public and private philanthropic funders. His work has primarily been in support of programs dedicated to serving disadvantaged children and families. Michael has extensive experience working as a federal grant reviewer for the U.S. Department of Health and Human Services and Department of Education. He has also worked closely with governmental and private funders in designing and developing RFP’s and grant review processes. Michael’s past work includes long-term management, leadership and consulting roles for the Children’s Services Council of Palm Beach County. In a consulting capacity with the Institute for Global Ethics, he played a central role in helping to establish the Center for Applied Ethics at Palm Beach State College. Michael has a Masters in Public Administration from American University, Washington D.C. He is also a life- long crazy Boston sports fan! As the Community Relations Manager, Andrea is responsible for leading CitySprouts’ volunteer program, managing the organization’s communications, and planning and executing Dig It!, CitySprouts’ annual fundraising gala. Andrea spearheaded CitySprouts’ completion of an 18-month volunteer assessment and training program to become a Service Enterprise in 2018. In line with Boston and Cambridge district goals, she is currently piloting a new family engagement initiative using the garden as a tool for increasing family involvement in STEM learning. Andrea graduated with a Bachelor of Arts in History and Political Science from Warren Wilson College, a liberal arts college with a fully operational garden and farm. She also holds a Master of Science in European Affairs, Social Policy from Lunds Universitet. When not at CitySprouts Andrea can be found hiking and camping with her husband and their dog. Or, keeping the mint plant in her backyard tame. Solomon is in his fourth year as a Garden Educator in Cambridge and Boston and his first year as a Senior Garden Educator and Middle School Specialist. While at CitySprouts he has worked on developing curriculum, presented at national conferences, and now manages CitySprouts’ after school clubs and Youth Leadership Team. Before coming to CitySprouts Solomon was a Youth Worker for Cambridge Youth Programs where he worked with pre-teen and middle school aged youth. He also worked as part of the field crew for Waltham Fields Community Farm. Solomon enjoys the wonder and amazement youth exhibit when they are in the garden and believes that garden-based education gives all children the chance to learn and enjoy the natural world around them. Solomon comes to CitySprouts with a Bachelor’s of Science in Biology and a Classics minor from Union College. When not at CitySprouts Solomon likes to cook, hang out with friends, and is looking forward to completing his Master Urban Gardener course. Kiz graduated from the University of Vermont, after studying Environmental Studies with a focus in Wildlife Biology. During her time there, she had a couple of summer internships as a Biological Technician with the US Fish and Wildlife Service (USFWS). After graduation, Kiz felt she could make the most difference by talking to people and teaching about nature. She was able to do this by working at a Nature Center for USFWS and doing adult, family and children nature programs at the Assabet River National Wildlife Refuge. Kiz is currently working on completing her MS in Environmental Education at Antioch University New England. While working on her degree, she was able to focus her experience on doing urban environmental education throughout Boston. For Kiz working at CitySprouts feels providential after the recent passing of her grandfather who taught her about gardening in his corner of the Bronx (NY). The familial tie also connects with her mother who was interested in healthy eating and majored in nutrition. And together their legacies have become Kiz’s passions. The Garden Educator position is the perfect opportunity for Kiz to follow her roots. One of her favorite garden memories is pulling a carrot from the ground for the first time in high school and being able to eat it fresh. She looks forward to creating life altering memories at her gardens. ¡Hablo español! Meghan has a wide range of teaching experience, working with kids from age 3 through high school on topics from farm education to learning English. Most recently, Meghan has been working in Cambridge, Boston, and the South Shore teaching after-school cooking classes and gardening lessons to grades K-5. In addition, she has worked as a summer camp teacher at Holly Hill Farm in Cohasset, teaching farm-based curriculum to children aged 3-7 and cooking classes for ages 8-14. Meghan loves the excitement that students bring to a new discovery, the joy in solving a troubling problem, and the cultivation of a respect for nature. She is currently pursuing a graduate degree in Food Policy through the Gastronomy program at Boston University. In her free time, she tends her garden plot and explores the diverse nature that New England has to offer.